Did you notice it, too? Some toy catalogues now come with tear-out wish lists with spaces to write down page numbers so you can easily find the object of your child’s desire. … or should I say the 10-12 objects of your child’s desire, given the number of spaces on the list? Frankly, making it easier for my kids to draw up their “buy for me” lists makes it harder to drive home the message that “it’s better to give than to receive”. Thankfully – even though we’re inundated with Black Friday and Cyber Monday sales flyers at this time of year – there’s another type of catalogue that finds its way into our mailbox; one that includes lists of gifts to give, not to get. Last year my KITC “Giving Tuesday” blog post shared a fun way to use charity gift guides to kick off the giving season with your kids by getting their help to choose fun, meaningful gifts to give that also help meet the basic needs of people around the world for food, water and education. Remember the Sesame Street song, “The people in your neighbourhood”? The one where Bob introduced the baker, the barber, and the firefighter? Now you can introduce your children to the charities in your neighbourhood by exploring the interactive Giving Tuesday Partner Map. Zoom in on your area to find out who your neighbours in charitable giving are. Discover the local food cupboards and the causes your neighbours hold close to their heart. You might find a charity in need of your donation or volunteers – just around the corner! Everyone loves the feel of snuggly PJs on a cold night. But many children in the Ottawa area don’t have that simple luxury. Sponsored by Family Radio CHRI and JD Swallow Heating and Cooling Contractors, Ottawa’s 5th Annual Pyjama Drive collects donations of new kids’ jammies for distribution to local and rural food cupboards and shelters; helping families struggling with poverty, domestic violence, substance abuse and mental health issues. Take your little ones on a shopping spree for a complete set of flannels or fleecies – with or without footies! Have them choose a pair a child their age might enjoy, and drop them off at one of the locations listed on the Pyjama Drive website. 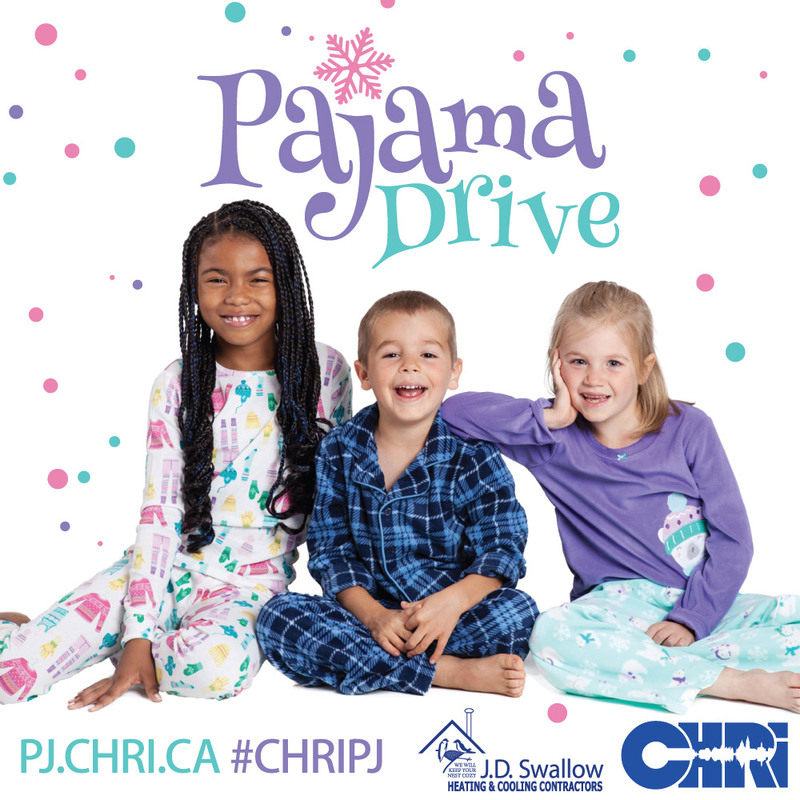 To date, more than 10,800 children have been able to sleep well in warm cozy PJs – let’s see if we can help even more kids “cozy up” in warm pyjamas this Christmas! Break out the butter, the ‘krispies and the marshmallows – and get your bake on! Recreate your favourite toy as a Rice Krispies© treat, then “snap” a photo and upload it to www.TreatsForToys.ca or post it on your public Facebook page with the hashtag #TreatsforToys! For every original photo of a krispie creation you post, Rice Krispies © and the Salvation Army will donate a new toy to a child in need. Visit the web site for recipes, how-to videos and a photo gallery of treats that have made children’s Christmas dreams come true. Ever wanted to be deviously … kind? Start your own “kindness crusade” by brainstorming with your children how you can shower kindness on friends, neighbours – even strangers – on Giving Tuesday. Take the kids to Timmies and buy coffee for the next person in line in the store or at the drive-through. Is Tuesday garbage day in your neighbourhood? Run out and surprise the garbage or recycling crew with a “thanks for what you do card” and some cookies. Smile at EVERYONE! For more great ideas – many that won’t cost you a dime or much time– visit The Random Acts of Kindness Foundation web site. If your piggy bank is empty come Tuesday, it’s never too early to plan next year’s giving. Remember those charity catalogues? 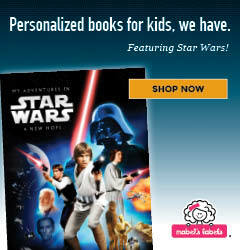 Flip through them with your kids on Giving Tuesday and clip pictures of the gifts they’d like to save up for. Post them on your fridge, bulletin board, or by the loose change jar to keep goals in sight and in mind. Then help your children make a plan to save throughout the year: by setting aside one third of their weekly allowance; asking for donations instead of birthday gifts; or having a lemonade stand or garage sale with proceeds going towards their gift goal. Little by little they’ll be able to watch their giving nest egg grow! How do you plan to get your kids into the giving groove this Giving Tuesday? Let me know in the comments.